Having leaks or broken parts in your swimming pool can keep you from enjoying the pool on a hot summer day when you need it most. If your pool needs to be inspected and fixed, you can depend on our Dallas swimming pool repair services. At Summerhill Pools, we ensure prompt repairs and excellent customer service. Just give our experts a call when you need repairs and we’ll come out to your home as quickly as we can to determine what the problem is and how to fix it. If your pool needs repairs and you’re concerned about how much the pool repair cost might be, let the experts at Summerhill Pools help you out. Our experts will provide you with dependable pool service in Dallas at an affordable rate. The overall cost of repairs will depend on what you need to be fixed and whether or not you need us to replace any pool parts, equipment, or systems. Before doing any pool repairs, our team of pool professionals will provide you with an estimate for the repairs. Keep in mind that the cost could change if repairs end up being more extensive or complicated than originally thought. If you have any concerns about the cost of your pool repairs, you can discuss the concerns with our pool experts. We’ll provide you with repair options that keep the total cost within your budget. This ensures that you don’t delay any needed repairs that could turn into bigger and more costly problems later on. Pool parts and equipment can break down or become worn and damaged over time. When you need swimming pool parts replaced, Summerhill Pools professionals can help. Whether you have a broken pool pump that needs to be replaced or a broken heater that can’t be fixed, our experts will make sure that you receive a high-quality replacement part. Our professionals will replace the broken part or piece of equipment on the spot if a brand new one is available right away. If we need to order a replacement part, we will let you know how soon it should be in and how quickly we’ll be able to come back to your home and replace the broken part. Our goal is to get your pool back in good working condition so that you and your family can start using it again as soon as possible. When we install brand new parts and equipment, we use Jandy Products, which is a well-respected pool parts manufacturer that produces high-quality parts. Anytime you have a problem with your pool, just give the professionals at Summerhill Pools a call. When you need pool repair and replacement services in DFW, you don’t need to look far. 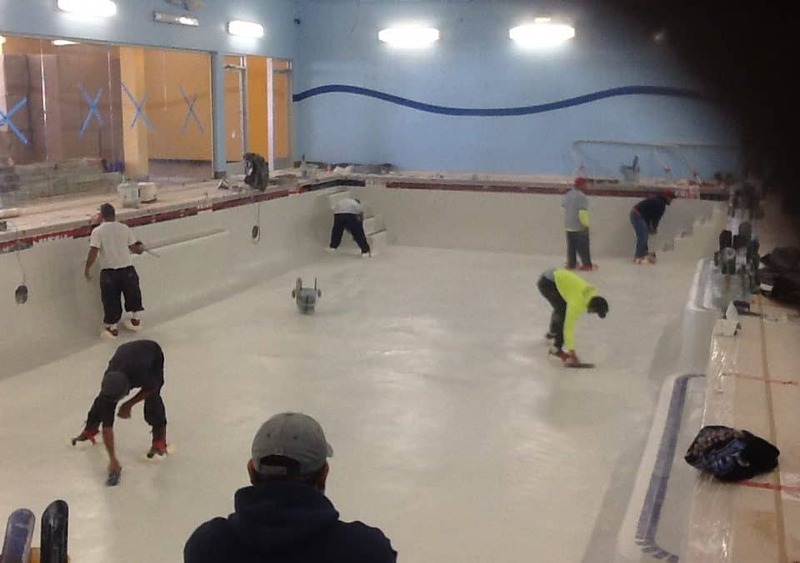 Whether you need minor repairs or major replacements, Summerhill Pools has the services you’re looking for. When you contact us for pool repair or replacement services, you can rest assured that our pool professionals can handle the job. No matter what type, size, or style of pool you have and no matter what kind of equipment and systems your pool has, our experts will be able to make repairs or replace parts as needed. If you’re not entirely sure what’s wrong with your pool, we’ll inspect it and determine why it isn’t working properly. At Summerhill Pools, we have a team of pool professionals who are dedicated to ensuring that your pool is always operating the way it should be. From small fixes to major problems, we have the tools and equipment needed to fix your pool. Contact us today to learn more about these pool services.